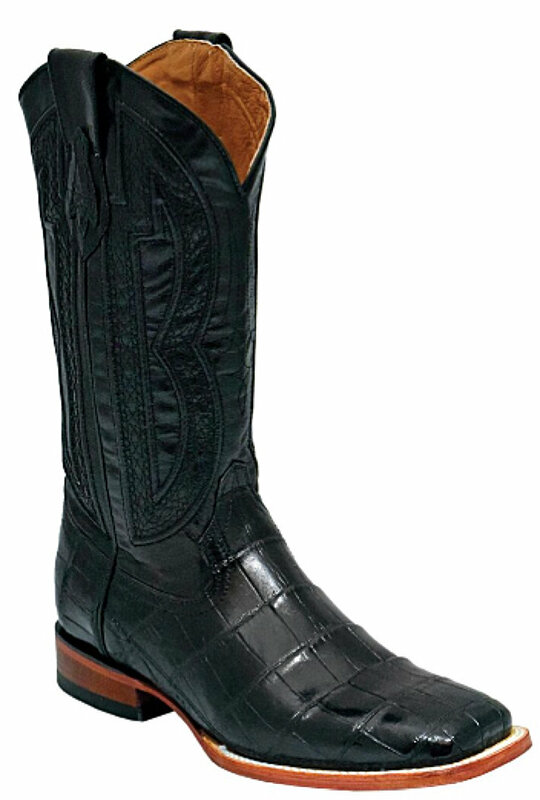 This is a beautiful classic top of the line smooth soft supple "Genuine" Belly Alligator boot in Black. Handmade craftsmanship to ensure quality and comfort. This boot can be worn by the most discriminating people for any occasion, casual to very formal, and will always look great. Leather lined with orthopedic cushioned foot-beds, leather soles and a medium walking heel. This Exotic Belly Alligator Boot is genuine hand picked European skins, manufactured in Italy, an priced far below most other sites selling today. These boots are a must if you always want to be the best dressed western man in the room. Order yours today while the supply lasts at this price!